Two years in making, Iwasaki's new permanent public artwork Bokeh, created in collaboration with Nadi Design, is officially open to the public at Kildonan Park Pond in Winnipeg, Canada. The site features the Modernist Peguis Pavilion Building built in the 1960s and a pond which turns into an ice skating rink in winter. Bokeh was inspired by the shape of Arco Lamp, the iconic floor lamp designed by Achille and Pier Giacomo Castiglioni, also in the 1960s, to echo the symbolism of the era, while expressing the shapes, forms, and a strong message of playfulness and joy which are often carried through Iwasaki's artworks. Bokeh is not only a public artwork, but is also three functioning light standards which illuminate the ice skating surface and its surroundings in rainbow-coloured light sequences. 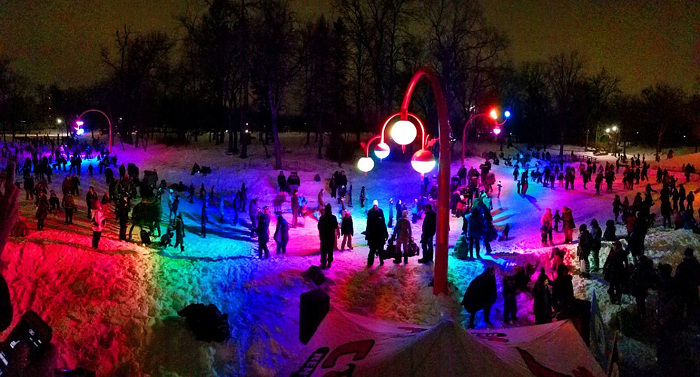 Bokeh transforms the white nightscape of the park in winter to an unforgetable rainbow-coloured magical world. Bokeh is a collection of the City of Winnipeg, and the project was funded through the Winnipeg Arts Council Inc.
Iwasaki's work is shown as part of a group exihibition Behind Closed Doors at Winnipeg Art Gallery in Winnipeg, Canada. Friday, November 30, 2018, 7 p.m. - 10 p.m.
Iwasaki's work is exhibited at NorVA Centre in Flin Flon, Canada. Iwasaki's work is exhibited at the Edge Gallery in Winnipeg, Canada. Friday, July 27, 2018, 7 p.m. - 10 p.m.
As part of public announcement of newly completed bike lanes in the Exchange District in Winnipeg, Canada, Iwasaki has painted one block of the bike lane on McDermot Avenue (between King Street and Princess Street). Several other artists also painted other blocks of the bike lanes in this project. With the active bike traffic and weathering these paintings are intended not to last for a long time; but rather meant to be a friendly introduction of the active transportation to the public. Ride away while they last! 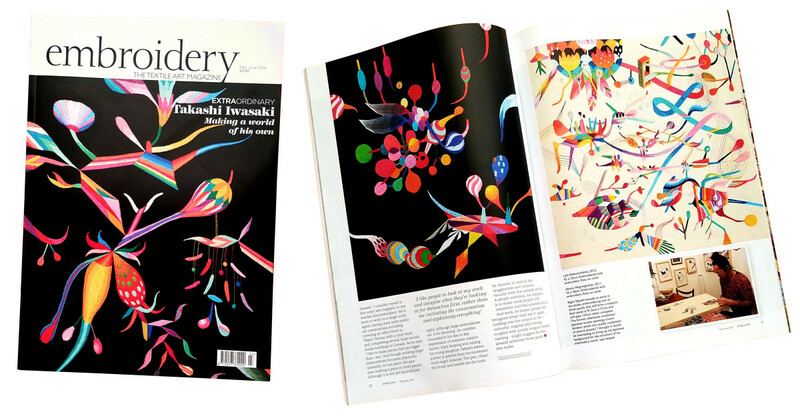 Featured in Embroidery Magazine in the U.K.
Embroidery Magazine in the U.K. features Iwasakai and his work in their May/June 2018 Issue. 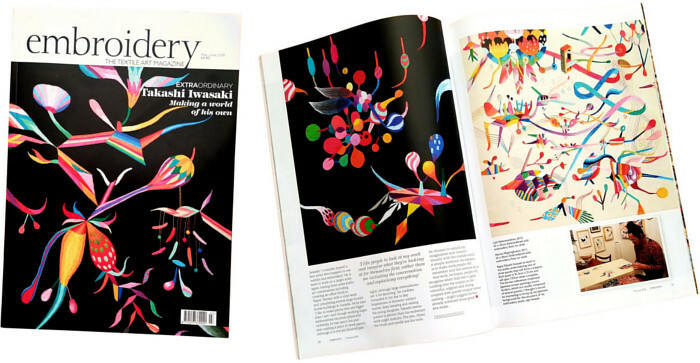 Iwasaki's embroidery piece Tsuriboschdelight adorns the cover, and six pages are given for an extensive interview and images of Iwasaki's embroidery works. The interview and article by Jane Audas. Embroidery Magazine is published by the Embroiderers' Guild, which was established in 1906 as the Society of Certificated Embroideresses, founded by 16 graduates of the Royal School of Art Needlework in England. Recent issues of Embroidery Magazine focus exclusively on contemporary embroidery artists and their artworks, which set them apart from most embroidery-related magazines in the world, which tend to focus on embroidery as a traditional craft and hobby. 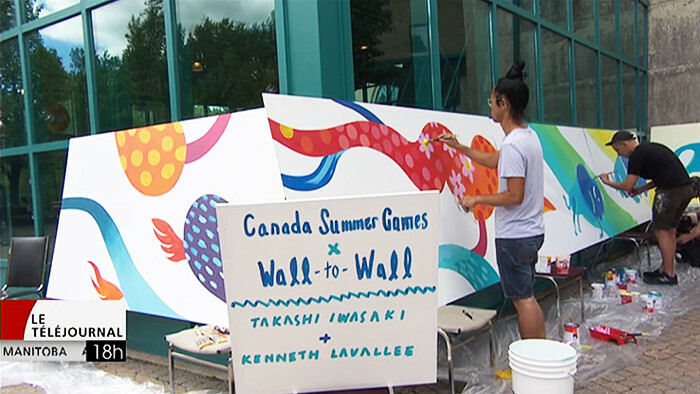 Here's is another video clip by Radio-Canada (French) on the 12-metre-wide mural painting project by Kenneth Lavallee and Iwasaki for Canada Summer Games 2017 at the Forks in Winnipeg, Canada. This project is organized by Synonym Art Consultation. Kenneth Lavallee and Iwasaki together create a 12-meter wide mural painting for Canada Summer Games 2017 at the Forks in Winnipeg, Canada. 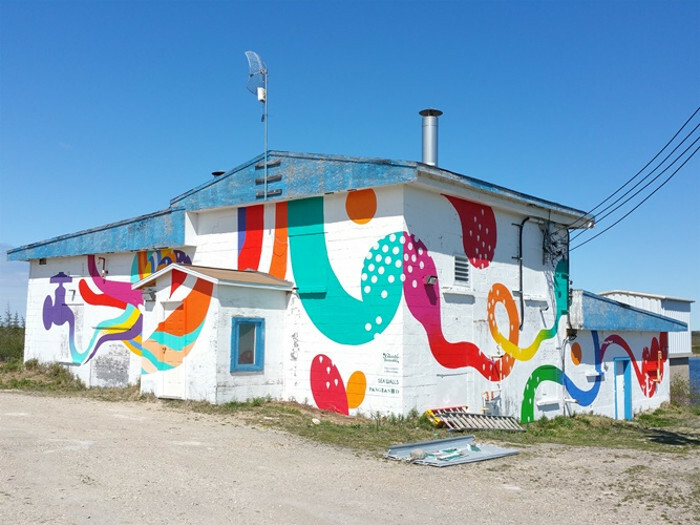 As part of PangeaSeed Foundation's Sea Walls Mural Painting Projects, Iwasaki, among 17 other artists from around the world, has painted the Pumphouse in the subarctic town of Churchill, Canada. Painted on the Pumphouse, the building which pumps out water to the people in Churchill, this mural painting symbolizes the importance of flow of water which gives life to every living thing on this planet. A Group Exhibition It Took A While at Harry Wood Gallery, Arizona State University, Tempe, Arizona, U.S.A.
My embroidery piece will be displayed as part of a group exihibition It Took A While at Harry Wood Gallery in Arizona State Univeristy, Tempe, Arizona, U.S.A..
Tuesday, November 8, 2016, 6 p.m. - 9 p.m.
Harry Wood Gallery, Arizona State University, Tempe, Arizona, U.S.A.
New images and information are added to the website. Most pages are updated. 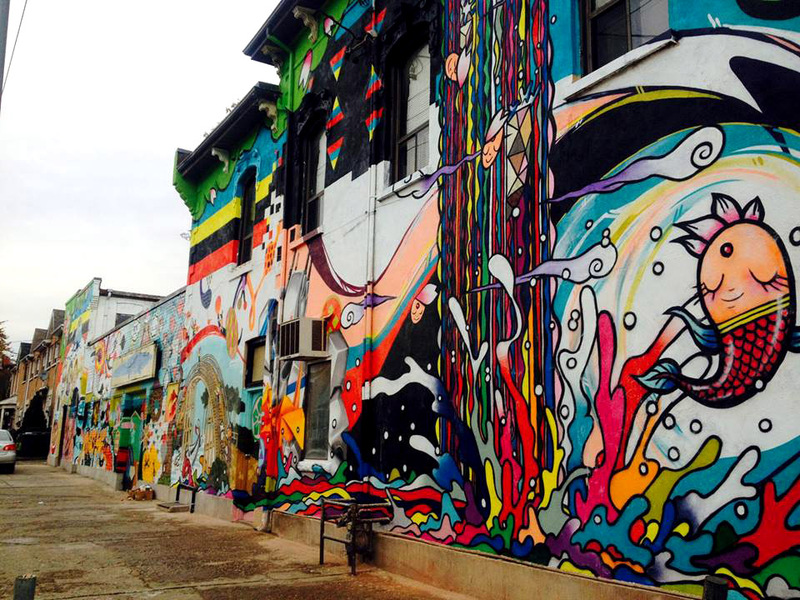 Sections such as "Mural Paintings" and "Public Art" are new additions. NOTE: If your browser does not display new information, please press the "reload/refresh" button on your browser. 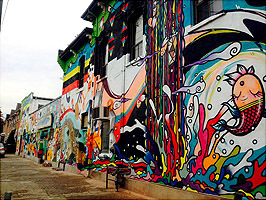 The entire mural painting done on the interior of Graffiti Gallery can be seen on Google Maps. A collaborative project with Tim Fukakusa, Ken Galloway, Mitsuo Kimura, Darcy Obokata and Shogo Okada. 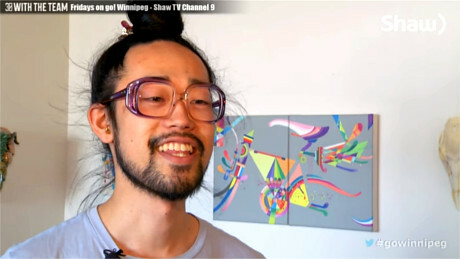 Shaw TV Winnipeg tells a story about Iwasaki's embroidery works and the process and ideas behind them. Images of new embroidery and paintings are added to this website. One Picture on the Wall at Parlour Coffee, Winnipeg, Canada. Iwasaki's new painting Palarilavelorimokkie will be displayed at his favorite coffee house in town, Parlour Coffee, proudly owned and operated by his friend Nils Vik. The aim of this project is to bring warmth to Winnipeg's [in]famous cold winter days with the painting, great coffee, and smiles of people who gather there. Come on board; share your laughter and smile! NOTE: Iwasaki will be present at the reception. Solo Exhibition at Small Works Gallery at McNally Robinson Booksellers, Winnipeg, Canada. Iwasaki's collages (over 15 pieces) are going to be shown in a solo exhibition at Small Works Gallery at McNally Robinson Booksellers. Shortly after 7:30pm a violinist and composer John Racaru will perform an eight-minute solo violin composition, which he composed based on Iwasaki's painting called Heatness. Group Exhibition at Jenkins Johnson Gallery, Manhattan, NY. 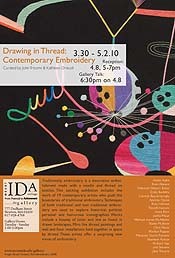 Iwasaki's 8 embroidery pieces and 3 paintings are going to be shown in a group exhibition at Jenkins Johnson Gallery. NOTE: Iwasaki and his partner Shih-Han will be present at the reception. New York, NY, 10001, U.S.A.
Iwasaki's travel to the opening reception in NYC is made possible with the generous support of the City of Winnipeg through the Winnipeg Arts Council. Published in September, 2011 by Arsenal Pulp. By Julia Rothman, Jenny Volvovski, and Matt Lamothe. Published in August, 2010 by Chronicle Books. Images of new sculptures and collages are added to this website. Iwasaki's mixed-media sculpture and embroidery pieces will be displayed in this exhibition. Please make a visit if you are in Taipei! For more information about VERY FUN PARK 2011 contact Fubon Art Foundation. Iwasaki's works are published in a book Ruby: Otherworldliness. Ruby presents captivating work at the nexus of contemporary visual culture and art that is connected by the underlying theme of otherworldliness. Whether in the form of fantastically realistic photography, alluring illustration and painting, impossible spaces, or bizarre sculpture, the 65 featured artists explore the direction of visual expression for the time to come. 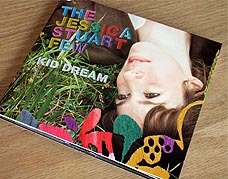 Illustrated Type (Group Exhibition) at Gallery Nucleus, Alhambra, California, U.S.A.
Iwasaki's embroidery works is on the Jessica Stuart Few's CD album Kid Dream. Elliott Louis Gallery joins this year's Drawn Festival [in Vancouver, Canada] with a two-person exhibition that brings together iconic charcoal drawings of trees by New York artist Mary Hrbacek and the whimsically surreal drawings in thread by Winnipeg's Takashi Iwasaki. To Mary Hrbacek a tree is a thing of spiritual sustenance and renewal. Her trees endowed with human-like qualities become the embodiment of mankind's condition: the rising sap is the spirit of life, sexuality and regeneration, the barren winter branches and broken limbs foretell of immanent ecological disaster, disease and death. Hrbacek's trees exert a powerful emotional influence. 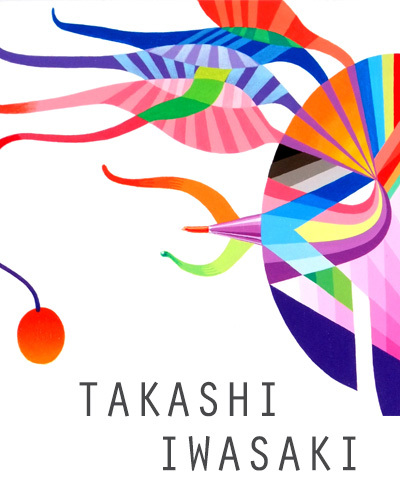 The biomorphic forms and imaginative abstractions that Takashi Iwasaki has envisioned demonstrate a light-hearted playful sense of humor and optimism. With an intense use of color, fanciful shapes, and a wide array of media, Iwasaki has created a body of provocative work using pencil, paint, collage and embroidery that is overflowing with imagination, intense beauty, and elegance. While stylistically and thematically diverse both Hrbacek and Iwasaki create works with the belief that art can exist as the most powerful and most beautiful medium of human communication. New paintings and embroidery pieces are added to the website. Group Exhibition at Mount Ida College in Main, U.S.A. Traditionally, embroidery is a decorative embellishment made with a needle and thread on textiles. This exciting exhibition includes the work of 19 contemporary artists who push the boundaries of the traditional meaning of embroidery. Traditional and non traditional techniques of embroidery are used to explore historical, political, personal and humorous iconographies. Works include a bounty of color and line as found in drawn landscapes, Miro like paintings and wall and floor installations held together in space by thread. These artists offer an exciting new vision of embroidery. Curated by John Tricomi and Kathleen Driscoll. Iwasaki's three collages will be shown as a part of member group exhibition at aceartinc. Iwasaki's embroidered piece Kazagurutarpawadendou will be on display among other artists' works at Edward Day Gallery in Toronto, Ontario, Canada and will be auctioned through Art with Heart: A Fundraiser for Casey House. Visit the website of Art with Heart: A Fundraiser for Casey House for more details. Iwasaki's three embroidered pieces are featured in June 2009 issue of Air Canada's enRoute Magazine to accompany Invertebrate Poems by Jim Johnstone. Visit the online version of enRoute Magazine to read the poems and view the images. 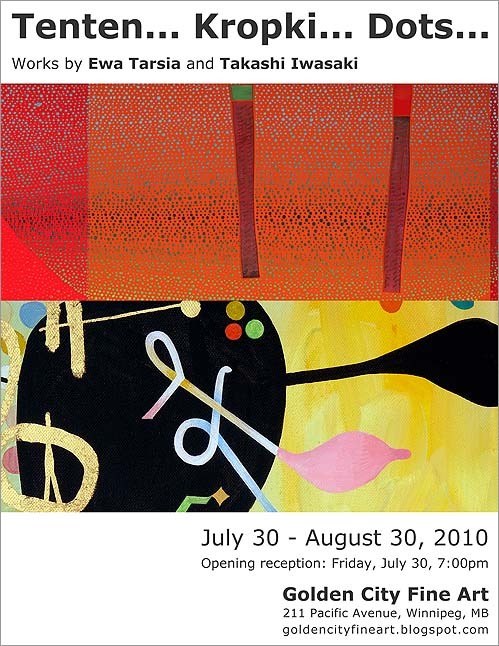 The solo show scheduled from April 11 to May 2, 2009 at Atelier Gallery in Vancouver is cancelled for an unprecedented circumstance. 50 embroidery pieces are added to the Embroidery sectoin of this website. New Abbies are added to the webstie. 1626 C Hi Line Dr.
New Paintings and Embroidery pieces are added to the webstie. Iwasaki has been posting blog entries in conjunction with the University of Manitoba, where he has completed his fine arts education from. There are total of 16 current students and alumni from the univeristy who are participating to this blogging to write about their daily lives - how it is like to be the students or graduates of the University of Manitoba. If you got some time, take a peek at thier lives at http://itsmyfuture.ca. Iwasaki's artworks will appear/have appeared in 6 different places/media in a row! Please check out the ones you can! Iwasaki has attended the opening reception at Giant Robot NY (New York) on Saturday, September 15th. It should be available for viewing on the web of New York Times Magazine at http://www.nytimes.com/pages/magazine/ between June 17th and 23rd too. ULTRA: Fashion Design Culture PDX in Portland, Oregon also has written a comment about Iwasaki with a short review of the group show "White Light" at Motel Gallery, which Iwasaki is currently a part of. ... In the afternoon I rise to visit one of my favorite art spots in this drizzly burg, Takashi Iwasaki’s Semai Gallery, oddly located within another gallery - the Keepsake - or rather in the long narrow hallway leading to the Keepsake’s washrooms. Takashi’s ingenious use of this overlooked and unwanted space is heartbreakingly charming, and the watercolours by Patrick Dunford look all the more wonderful for this curious mounting. Sorry for not updating this website for a long time - too long! I was busy working on different projects, including my new collaborative project with a writer Aldona Dziedziejko, called WFI & Co.
Now (as of March 29th) I'm in Chelsea, Michigan, visiting my friends, then from April 2nd till 6th, I'm going to be in Portland, Oregon to attend an opening reception for a group exhibition, of which I'm a part of, at Motel Gallery, Portland, Oregon. 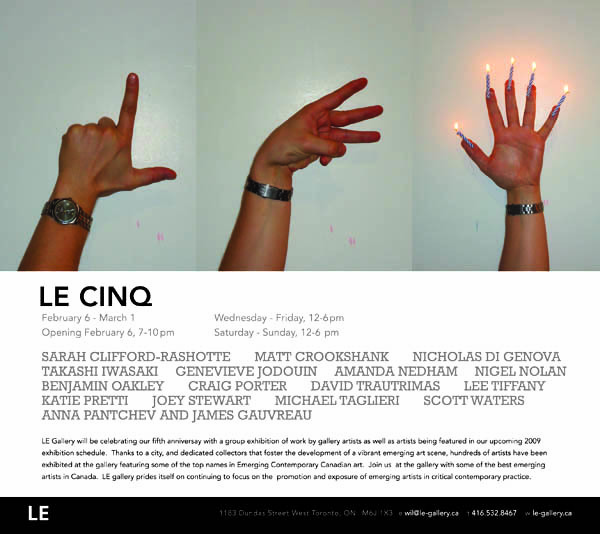 If you live near the gallery, please drop by! I'll be there for the opening. Well, this is my news for now! I'll upload more images of my work when I'm back from the trip! I've got a lot to update. Three Abbies are going to be exhibited and auctioned out at Platform Centre for Photographic & Digital Arts (121-100 Arthur St., Winnipeg, Manitoba, Canada) for fundraising for the gallery on Dec 15, 7PM. Works by over 50 artists (three pieces each) are donated to this event. Ticket is $40 at Platform. Semai Gallery, directed by Iwasaki, is presenting a collection of small works by over 10 local artists at a time. 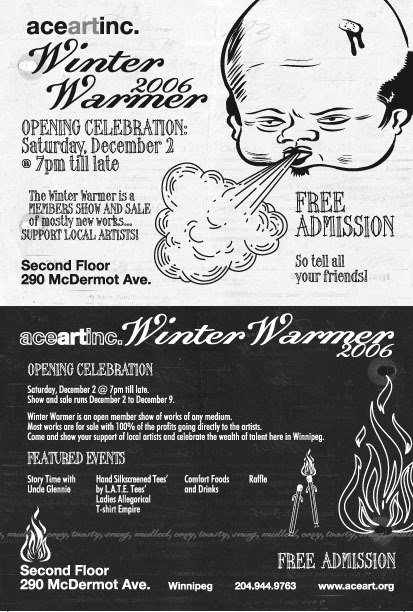 Opening reception takes place during the same hours as Ace Art Inc.'s opening reception for the Winter Warmer (which is happening only half a block away from Semai Gallery), so you can easily check out both galleries at a night. Get two birds with one stone, and find the best Xmas gifts ever! Semai Gallery's affiliating gallery, Keepsakes Gallery of Winnipeg Inc., which is right next door, is also having Christmas Openhouse from 3 - 7PM this day, featuring local musicians and their gallery members' eclectic works! This is definately worth checking too! With this, now you can get three birds with one stone! December 02, 7PM - Late! The Winter Warmer at Ace Art Inc. Ace Art Inc.'s popular annual member exhibition, the Winter Warmer is back this year again! Over 75 members of Ace Art Inc. are participating to this art exhibition. The display format is going to be the traditional salon style: a bunch of works hung on walls right next to each other! Most of the works on display are for sale. 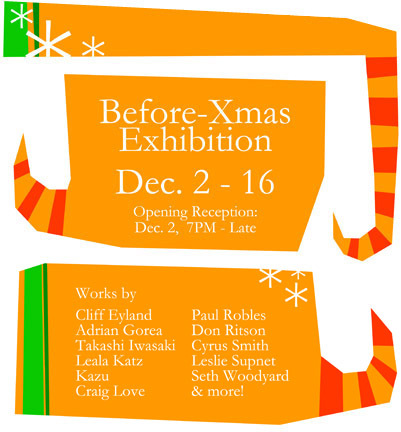 Iwasaski will have three paintings in this exhibition. Every year a lot of local artists and people who are interested in art come to the opening night. You're all invited! Join us and get together - make our winter warm! Or rather hot?! This year's theme for the annual fundraiser for Plug In ICA, one of the most important contemporary art institutions in Winnipeg, is Pop Art and the 60's art. 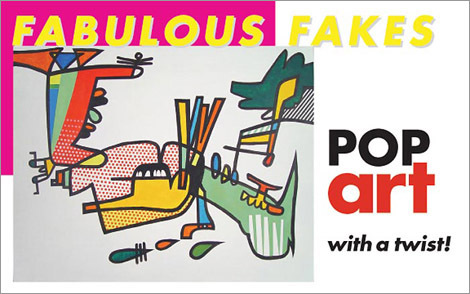 Various local, national, and international artists created works for this event with a "twist" of historical pop artists' ideas, forms, and visual elements. Silent auction is the format of this fundraising, and bidding is already taking place on Plug In ICA's website: http://plugin.org. Most of the works are viewable on the website, so click your mouse and go on! And be sure to attend the party for this event, where the winners of the auction will be called, and you can see the real works in front of you, on November 25th! 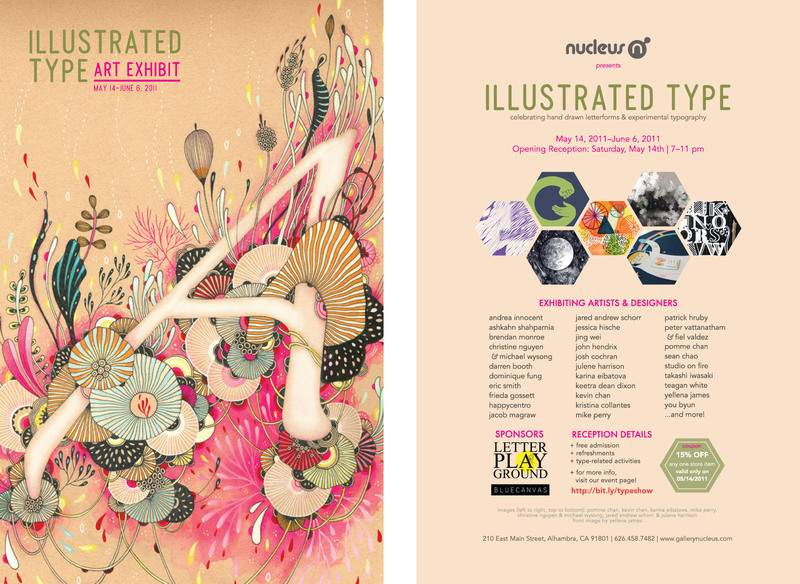 Chatting, looking at works, mingling..., it'll be a fun night! Come all! 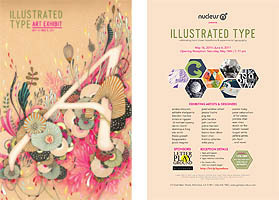 Iwasaki's work Lichtenten, shown on the official poster for this event, is one of the auction items. All the items starts from $250 with an incriment of $10. Iwasaki is interviewed by an Italian artist/journalist Claudio Parentele. The Q&A format interview is available at his website The eXTra finGer. Iwasaki's interview can be found in the entry on Octobe 24, 2006. 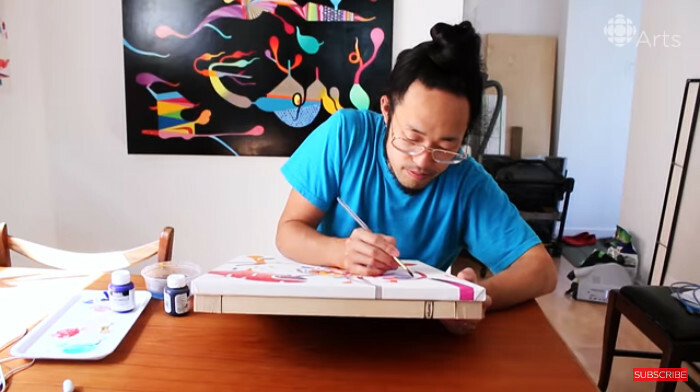 Iwasaki's painting Boomcity will be exhibited as a part of a group exhibition, BMO Financial Group's 1st ART! Exhibition. 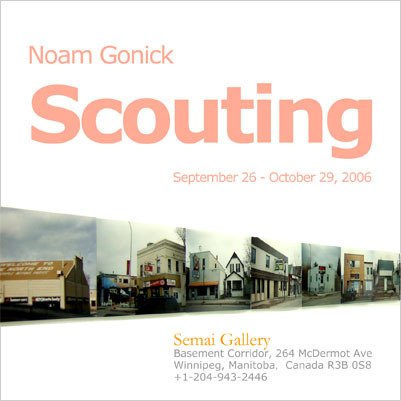 One of the most prominent young filmmakers in Canada, Noam Gonick has presented films at the Venice International Film Festival, the Berlin Film Festival, TIFF, Sundance and the Museum of Modern Art in New York. Semai Gallery, directed by Iwasaki, is currently showcasing 135 pieces of his location scouting photographs, photos taken for selecting locations for his films. Take a look at the film locations (all in Winnipeg) of Hey, Happy! (2001) and Stryker (2004) from a filmmaker's point of view! More information and some images from the exhibition are available at Semai Gallery's website. BMO Financial Group 1st Art! Invitational Student Art Competition - Manitoba Winner! 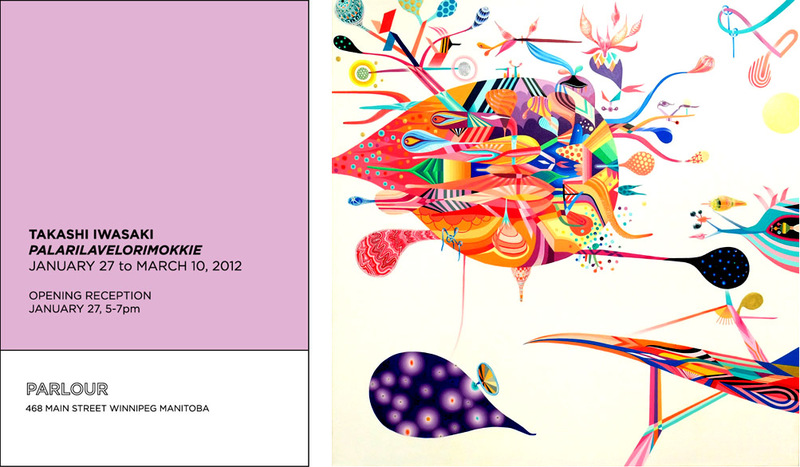 Iwasaki's painting Boomcity is chosen as the Manitoba Winner on BMO Financial Group 1st Art! Invitational Student Art Competition, an anual art competition held by Bank of Montreal for the graduates from Canadian post-secondary institutions. Total of 14 winning works (one from each province and teritory + one national winner) are going to be exhibited in the First Canadian Place Gallery (100 King Street West, Toronto, Canada) from October 16 to November 10, 2006. 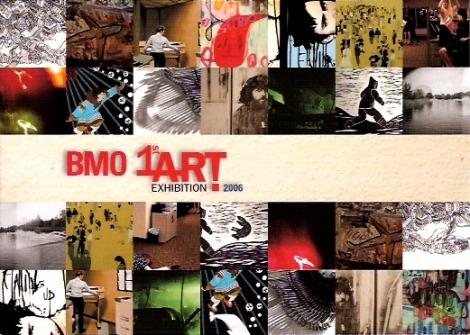 For more information, please visit the BMO Financial Group's webpage （The images of all winning artists works are on display）. New website design! Over 20 works added! This website hasn't been updated for more than two months. Yet during the "off" period, the design of the website has been renewed, and new works are created and added to the website. Thank you for those who had been waiting for this update patiently! 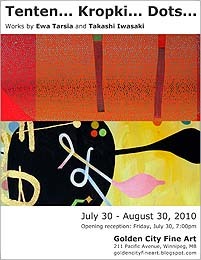 Semai Gallery , managed by Iwasaki, officially opened on July 28th, 2006! 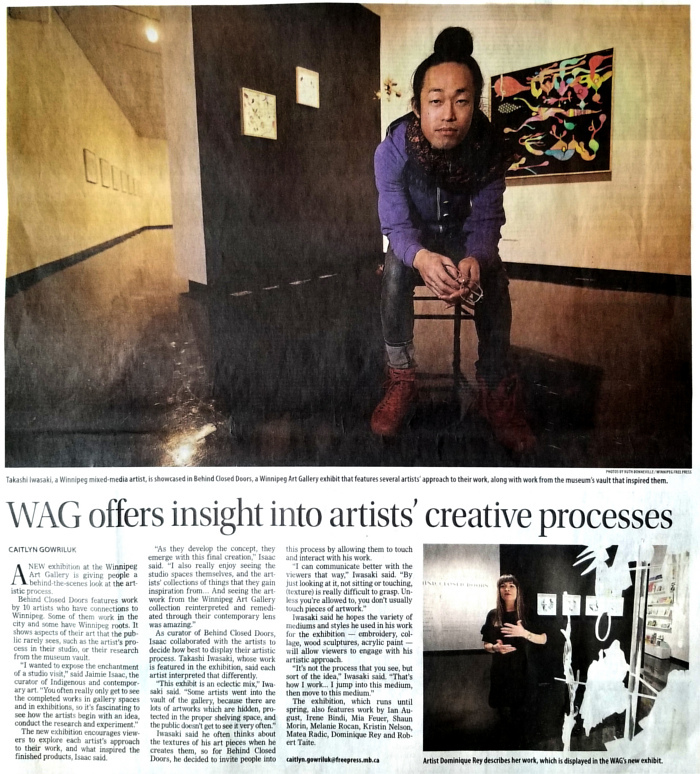 Iwasaki started managing an art gallery, using a hallway space in the Silpit Building, located in the heart of art gallery district in Winnipeg, Canada. Gallery's name Semai means Narrow in Japanese, as the space is very narrow. Semai Gallery showcases a wide range of contemporary art within its narrow confines. From July 3rd to 30th, an exhibition entitled "Abbies" is going to take place at the entrance hall of Shimizu Public Library in Iwasaki's hometown, Shimizu, Hokkaido, Japan. Approximately 15 Abbies are going to be exhibited in the show. Six paintings of Iwasaki's are featured in the issue No.6 of Ruby Mag, a monthly online art magazine launched by an artist Irana Douer in Buenos Aires, Argentina. 10 artists from 7 different countries are featured in this issue of Ruby Mag: Ellie Davis, Andy Dixon, Irana Douer, John Kersey, Shinpei Kusanagi, Anne Michaux, Marcus Oakley, Julien Pacaud, Ana Laura Perez, and Takashi Iwasaki. To view the magazine, visit http://ruby-mag.com.ar/, enter the site, and click on "current issue" on top of the page! Iwasaki's proposal for a mural painting project was accepted by the University of Manitoba Student Union (UMSU) earlier this year. The painting called Direction is located in the tunnel which connects the University Center and the Science Complex at the University of Manitoba. 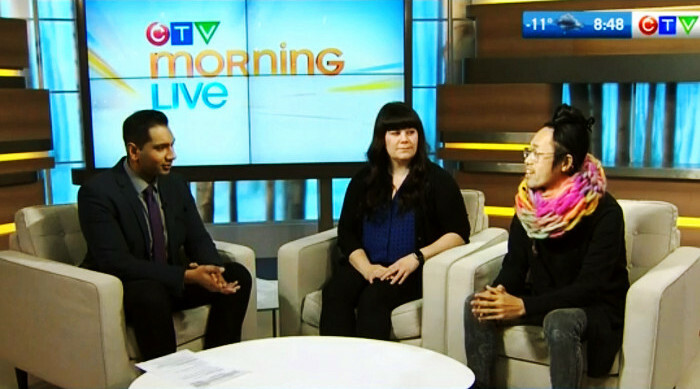 Iwasaki was interviewed by CBC Television (Canadian Broadcasting Corporation) as a graduating fine arts student of the University of Manitoba on April 25, and it was broadcasted nationally on April 26. Three of Iwasaki's painting are going to be exhibited in a group show, the Ace's High, the University of Manitoba Fine Arts Students Annual Juried Show, at Ace Art Inc., Winnipeg, Canada from Friday, May 5 until May 20, 2006.